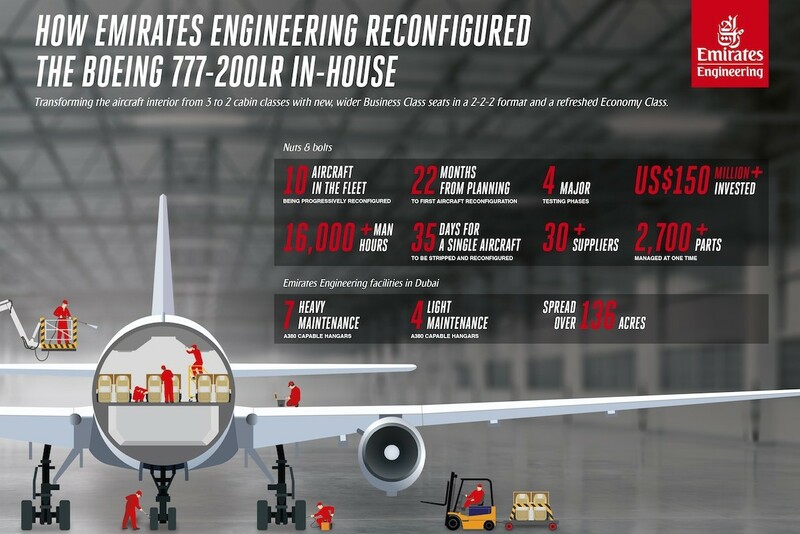 Emirates Engineering has successfully completed the reconfiguration of the second Boeing 777-200LR aircraft in its fleet. 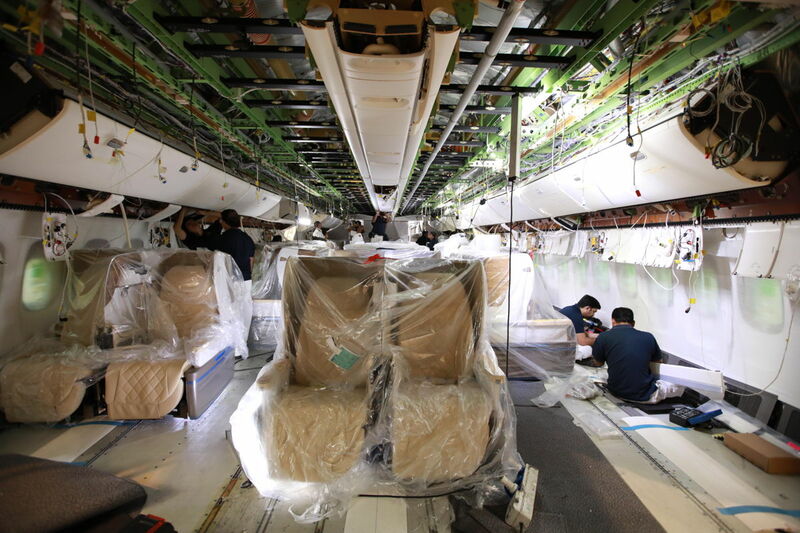 The conversion of the aircraft from three to two cabin classes was executed fully in-house at the Emirates Engineering hangars in Dubai. 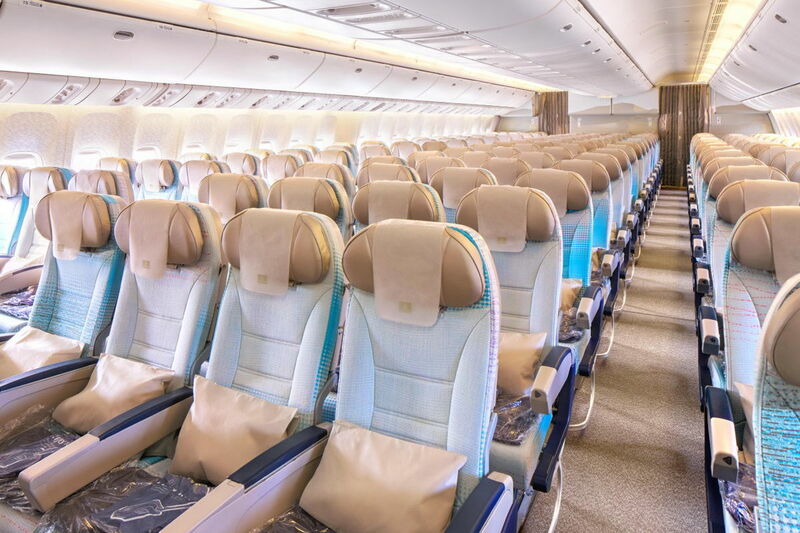 The reconfigured aircraft also features new, wider Business class seats in a 2-2-2 format, a new social area in business class, as well as a fully refreshed Economy class providing customers a superior inflight experience.